It is with deep sadness that the club has heard that Former President Gordon Bennnett passed away suddenly in the early hours of January 1st 2019. Gordon served the club for many years and will be missed greatly by the Star family. Our condolences go to his family, friends and Star family at this sad time. Merry Christmas - nearly a month old. 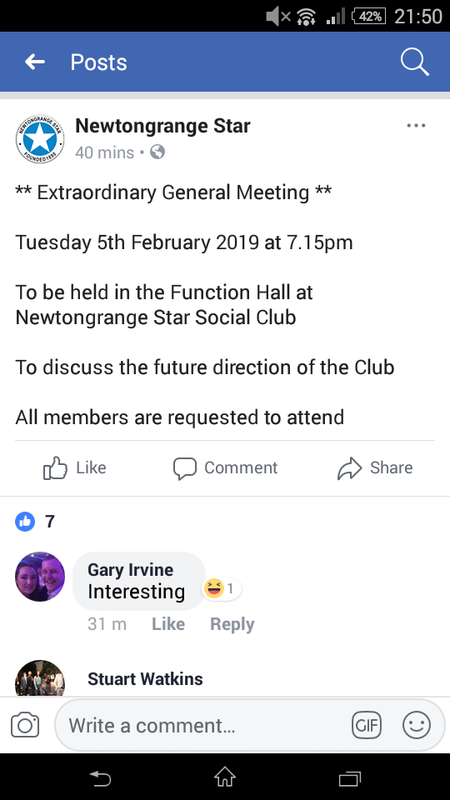 Aye I'm aware of that, just over 2 weeks old, the last couple of paragraphs are interesting and then the notice pops up on their Facebook page tonight about an EGM. One party doesn't realize how much work the other party has done to get to where they are now. The other party are a wee bit unsure where the other party want to go from here. Every day that passes is another wasted. Seven weeks? Can't imagine that going down well, the Nitten support are very critical of that kind of behaviour. Even more surprised that Stevie posted his resignation letter to Facebook. Has his reasons obviously, never struck me as anything else but a good manager, intelligent guy and a very decent human being, obviously felt he had to explain his position. Yeah I get that and agree with your comments regarding Stevie but you have to admit that it's pretty unusual to air your dirty laundry in this manner. Or you could applaud his honesty for giving his reasons for walking away. 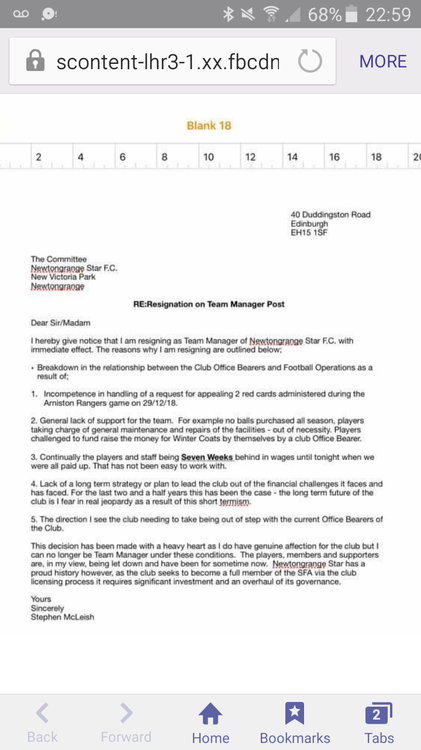 The supporters have a right to know this as the clubs statement was poor. Hope they pull through as by all accounts they are in turmoil right now. Worrying times with an EGM being called. All a bit quiet here. Unusual because Nitten fans are generally all over this kind of stuff. Obviously just when it's affecting other clubs then. Are they? There’s not been many Nitten fans on here for a long long time. 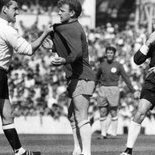 Plenty of them about when there was something to say about other clubs. Unusual.